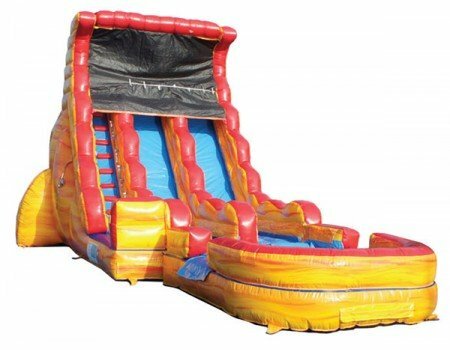 2 Lane 19' Volcano slide, has inflated bottom as cushion. Can be used as wet or dry slide. This GIANT wet/dry slide will keep everyone racing down. Great for all ages and party types. i.e., weddings, fundraisers, birthdays, family reunions, commercial events etc.